This habit starts when we allow kids to reach when practicing serve receive from a toss or easy serve. Once the velocity picks up and the serve flattens out, controlling the ball becomes a much harder task. When teaching young players to pass it’s important to start with higher, easier balls, but make sure there is focus on getting feet to the ball every time. A. Rolls. One partner sitting on floor with legs spread. The second partner is in ready passing position and starts at end of the partner on the floors foot. The partner on the floor rolls the ball fast down her leg. Once she gets the ball back, she rolls the ball down her other leg, forcing he partner making who is in passing position to shuffle. B. Scoops. Same drill, but partner on the floor is now standing. D. Leg Bounce. Coach enters ball from a toss or serve and ball has to bounce thru the player’s legs. E. Band Passing. Use green elastic band around ankles forcing kids to shuffle and stay on feet when they move to pass the ball. Start with short distance and progress to cover more ground. F. Knee pad touch drill. B. Belly Bump. Put ball under shirt forcing the platform to stay out and away from the body. Shoulders are usually the issue, as players will pop up out of a ready position once the ball is served causing their shoulders to come up. Keep passing stance shoulder distance apart. When players move back they will make their passing frame smaller by shuffling feet close together. A. Towel or dot placed on the back of a player while passing. Cannot let is fall off, especially when moving backwards to pass the ball. It’s important for coaches to reinforce that your players execute proper technique through repetition. Improper technique will create bad habits. By giving your players a lot of touches on the ball with proper technique, you are giving them a better chance of creating and maintaining good habits when passing the volleyball. It’s as easy as that! 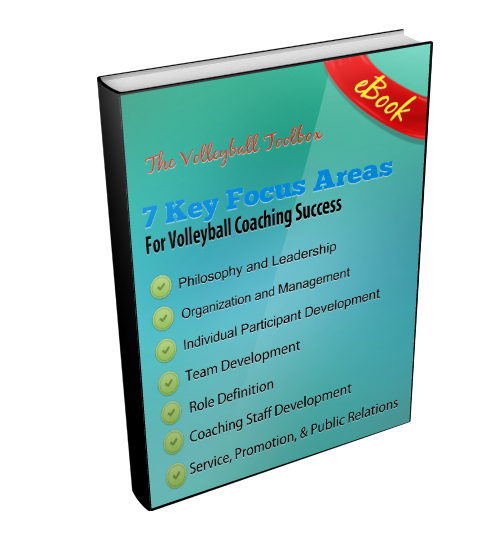 For related reading for volleyball coaches click HERE. To view more passing drills click HERE. Anne Kordes is the Associate Director and 17 Red Head Coach at KIVA in Louisville, as well as Assistant Coach at Assumption High School. In 2017 Assumption HS was State and National Champion. Her KIVA 17 Red team was 17 Open Runner-up at the 2017 AAU National Championships, and took home the bronze medal in 2018. Anne has 17 years of coaching experience at the DivisionI level, including the Head Women’s Volleyball Coach at University of Louisville from 2011-2016, and the Head Coach at Saint Louis University from 2004-10. She has garnered numerous conference coach of the year honors and was also the President of the American Volleyball Coaches Association from 2011-2013. Anne finds a way to get the most from her players, and has coached numerous All-American athletes at the junior and college level.